Does toxic free living sound amazing to you? It absolutely does to me, as it is one of the most incredible changes you can make for you and your family! It seems like an incredibly large task to take on if you are not currently living a holistic lifestyle and you may question how to even begin toxic free living! If you are gradually working into it then don’t feel that everything in your home needs to be thrown away! In a perfect world, this would be the ideal way to go but you have to factor in time, money, and the fact that a lot of us have a family to think about. There are some easier ways to ease into it and still get the health benefits to toxic free living gradually! Toxic Free Living – Each change is a win! Every toxic product that you change to a toxic free product should be celebrated as a WIN! I’m not going to go into detail about the negative effects of every chemical or product that you should stay away from but if you would like a list of ingredients to avoid please click on the giveaway below! Also it is important to do your own research but don’t get too carried away because the lists are incredible! There are an incredibly INSANE amount of toxic chemicals in your everyday cosmetics, which is sad! I haven’t figured out why major companies would make cosmetics for the population knowing that what they are putting into them is terrible for us! It infuriates me that they are not more responsible and caring of their customers health, instead of appearance alone. One of the easiest ways to go toxic free when it comes to cosmetics is to simply research natural companies. There are a few out there that believe that products can still be great without the added use of harmful chemicals! A lot of research and care was put into these products and the ingredients that these non toxic companies use! I have a lot of respect for a company that truly cares about their customers and it makes it easier to support a company like that. Yes, you are going to spend more money on natural toxic free cosmetics but in the long run your body and skin will thank you SO MUCH for it! If everyone switched over to these companies the prices would eventually go down! If you would like to know what I use and trust whole heartedly please connect with me today and I would be so honored to share these products with you! Facial Cleanser: Coconut Oil & Baking Soda…. that’s it! Both of these ingredients bring forth cleansing properties and are very gently on your skin! If you struggle with acne you could add a few drops of 100% Tea Tree essential oil in as well. Facial Moisturizer: 1/2 cup Coconut Oil, 1 teaspoon liquid Vitamin E and 12 drops of Lavender essential oil! Melt the coconut oil (if it isn’t already), add in Vitamin E and Lavender oil, mix and let it set. When the coconut mixture solidifies you will have your first homemade moisturizer! All of these ingredients are very soothing to your skin, inexpensive and non toxic! You can search pinterest for millions of DIY moisturizer recipes and pick one that interests you the most! I tried this recipe and used it for a while when needed and it worked great but a little tip is to spray a little toner on after application to set it! Body/Face Scrubs: By far the easiest, fun and most cost effective product you can make at home! I will NEVER buy another company made scrub again! You can get so creative or you can be very simple! Coconut oil & sugar (for face) or salt (for body & feet)! Add ins include cocoa powder, coffee, essential oils that make you happy (or eucalyptus when you are stuffy), cucumber, mint, peppermint, lemon, lime….. I think you get the picture! Again pinterest is amazing for DIY scrub recipes! Some of these are easier than others but can be done for sure when you are first switching to a toxic free lifestyle! I wrote a book called The Frugal Way to Natural Beauty that includes tons of recipes and tips, I would be happy to send it to you! Contact me to get that book today! Again very easy! GET RID OF BLEACH and replace it with VINEGAR! Done as easy as that! If you don’t like the smell of vinegar, add some 100 % Essential Oils in. Some that are known for anti viral and anti bacterial properties are: lemon, lavender, tea tree, eucalyptus, peppermint and pine! This is a great set to start with! Also for a scrubbing product you can mix castile soap and baking soda! Non-stick teflon contains toxic chemicals called PFCs. When those pans get scratched, these chemicals are released into our food. Bake with oven safe glass or ceramic. Cook with cast iron, stainless steel, or ceramic coated pots and pans. Do your research on which ones are the best! Get this one here. Laundry detergent, dryer sheets, and fabric softeners are all toxic. You are putting clothes, blankets, and towels on your body 24/7 and those chemicals are in contact with your skin ALL THE TIME. When you have a skin irritation the first thing that is asked is if you switched laundry detergent… hmmm coincidence that your body is reacting negatively to the toxins in that detergent… I think not! Among many other things, they are irritating and carcinogenic. Read your labels and do your research! There are a lot of companies that claim to be natural when, in reality, they are not at all!! Castile soap can be used as laundry detergent if all else fails, just be sure to read the bottle about the quantity to put in or you will have a nice soapy mess on your floor! Conventional dryer sheets need to be thrown in the trash and replaced with homemade sachets of lavender. I personally don’t use anything. White vinegar can replace fabric softeners as well. If you can avoid even a little pesticide residue, it is beneficial. Going completely organic can be a little too expensive for some people and that can get overwhelming for sure! I started with the Dirty Dozen list for produce and tried to stick with that as much as possible. Some produce on that list is anything with a thin skin such as apples, grapes, strawberries, nectarines, carrots, potatoes and pears. Those produce examples should be bought organic as they are the top items with the most amount of pesticides! I highly recommend joining an organic, natural food co-op and buying in bulk as it will help tremendously with budgeting. As far as meat goes, it can be hard to switch as it can be an expensive change; buying local and in bulk can really help but if not start with the meat you eat most often and switch that one to organic. Once you have budgeted that it will be easier to switch the other ones little by little. Chicken should be free, range, antibiotic and hormone free. Beef should be 100% grass-fed, antibiotic and hormone free. Fish should ALWAYS be wild-caught, definitely NOT farm raised! Also, speak with your meat manager at your grocery store to find out exactly where your meat is coming from. 6. Toxic Free Living – Artificial Fragrance! Absolutely the first thing to throw in the trash when you are craving a toxic free lifestyle is artificial fragrance! Full of hormone disruptors and cancer causing fumes that no one needs in their home! Unfortunately candles are the top culprit of this! I use soy or beeswax candles that are scented with 100% Essential Oils! I also use a candle warmer instead of burning them! You can certainly make your own so that you know they are safe! DIY Room sprays are another amazing way to go and super easy to make! An essential oil diffuser is also a great alternative. This is the one that I use in my kids rooms and living room! Please make sure you do your research on the quality of the essential oil that you are using. They are not created equal and can cause more harm than good if they are not of the best quality! 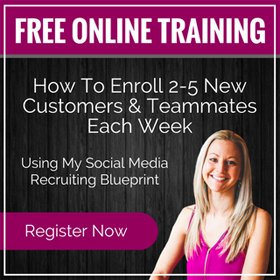 I would be happy to teach you more about what to look for so feel free to connect with me about this topic! Clean air is far and few between lately so unless you live on a farm in the middle of nowhere you are breathing in toxic chemicals! There are amazing plants that produce quality oxygen and actually rid your home of air pollutants! I am no green thumb for sure but this book is amazing at teaching you how to do this! 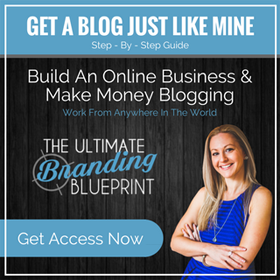 I hope you have enjoyed this blog post and learned a lot! I am truly passionate about helping and educating people about how to live a non toxic lifestyle and want you to know that I am here for you if you have any questions! Connect with me through my connect with me page to find out what products I’m using and why! GO START YOUR TOXIC FREE LIFESTYLE TODAY! 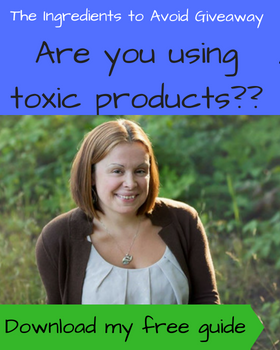 2 replies to "7 Steps to Toxic Free Living"
You’re right cosmetics are the worst! But, opting for natural cosmetics can make a huge impact on our health and the appearance of our skin.